This is my entry for the first ever Imaginisce Sketch Challenge! I created this fun card with Imaginisce’s “Twitterpated” and “Summer Cool” collection! Bo Bunny’s Card Challenge Tuesday! Such a cute card, you've done a wonderful job. Adorable! Love that you did a card. Twitterpated is one of my favorite Imaginisce collections! 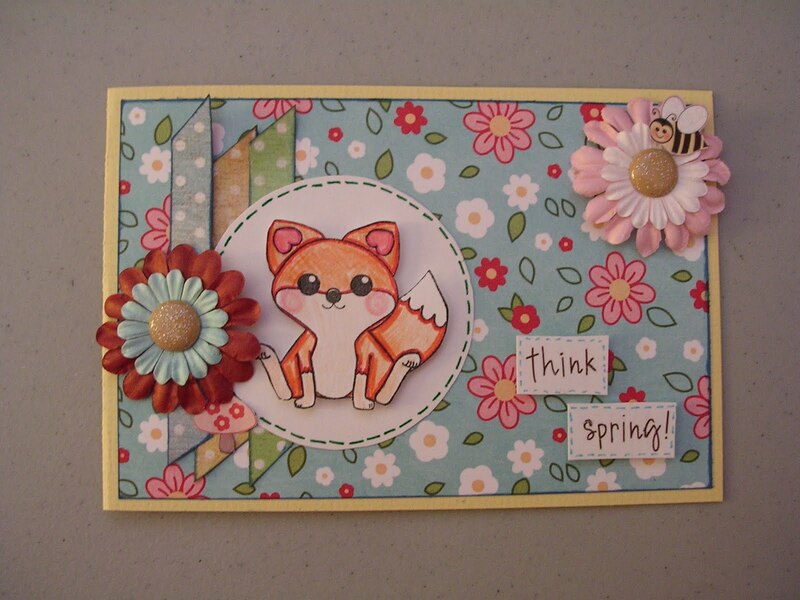 ok…it's kind of cute… I like the bee in the flower!